Henry is a long, fast engine. He has a thoroughbred look and like all thoroughbreds, tends to be somewhat high strung and prone to illness. But he has his new shape now, and sympathetically drive, he'll give any engine a run for its money. 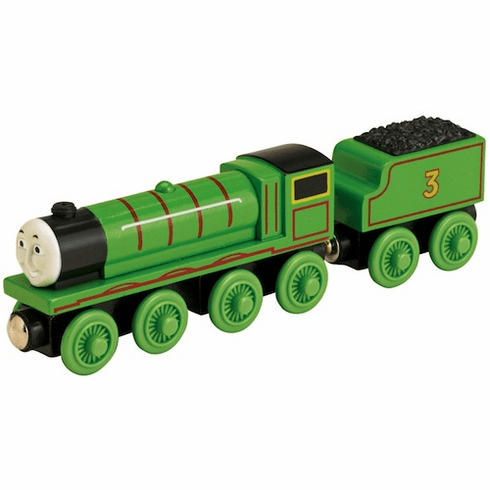 Before his shape was changed, Henry had to have special coal brought in so he could run properly. Thomas Wooden Railway vehicles, track and destinations are not compatible with Take Along Thomas items. Dimensions: 7.00 " x 1.50 " x 2.00 "